If not making use of the fully equipped kitchens, a superb choice of fine dining Restaurants are simply an elevator journey below. We’re committed to keeping guests nourished around the clock with enticing dining options that appeal to all appetites. The continental cuisine at our restaurant will inspire anyone to slow down and savor a mouthwatering breakfast, lunch or dinner. Stay energized and route to your next meeting with a sandwich or a cup of coffee. You can also dial Room Service Department to have wholesome menu items from our in-room dining menu delivered directly to your room. We are proud to generate such as test & true hospitality with the atmosphere to enjoy delicious food at THE OLIVES Restaurant. The continental cuisine at our restaurant will inspire anyone to slow down and savor a mouthwatering breakfast, lunch or dinner. Stay energized and route to your next meeting with a sandwich or a cup of coffee. Offering great selection of Steak, Salad, Sea food, pastas, appetizers, main courses and desserts suited to all taste. Western, Continental, Thai, Japanese and Indian dishes with regular buffets and ala-Carte dishes are available. 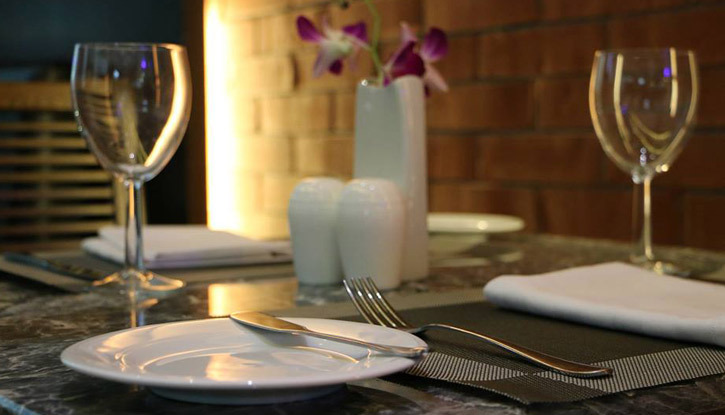 Enjoy a fabulous dining experience with personalized service, and you will get value for money for quality of food. Open for Breakfast at 6. 3 0 am-10.30am lunch 12.30pm-15.00pm, Dinner 19.00-23.00, 7 days a week.